The lesser known stories of history are generally the more interesting ones. In this case the story of a woman embroiled in the work and the legend of the Kray Twins is a fascinating one. In the story of the Kray Twins, the chapter on East End gangster Frank Mitchell – also known as the Mad Axeman- being broken out of prison, and later killed at the hands of the Krays, is well known. Liza Prescott often features as barely a footnote in this story. She was 18 and kidnapped by the Krays as a ‘companion’ to Mitchell while they held him in a East End flat. Later a witness in their trial this young woman’s story has become an almost forgotten part of the Men’s narrative. 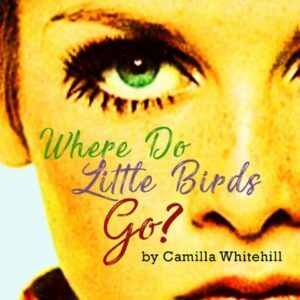 Camilla Whitehill gives the re-named Lucy a voice in ‘Where Do Little Birds Go?’. And the use of ‘voice’ through song is a brilliantly executed device in the play. The title reference to a song made famous by Barbara Windsor grounds Lucy in the East End girl trying to make good- having travelled to London she is trying to make it as an actress, while working as a barmaid, and then a nightclub host. Music becomes an extension of Lucy’s voice, from ‘Bobby’s Girl’ welcoming the audience to her while snippets of other songs from the 50s and 60s interject, reflecting Lucy’s mood, or her dreams. Music, or lack of it when she violently shuts off the record player drive the piece forward as well as giving a real sense of time and place through the music of the era. The men in the story are peripheral, it’s Lucy’s voice we hear. Men feature in influencing her story- the useless boyfriend she bites, then leaves, the landlord and club owners that turn a blind eye to her age, her kind Uncle Frank and of course The Krays. But in telling the familiar tale of East End life, and Gangster dealings from the point of view of a young girl who happened to witness it, gives it a new, even more harrowing spin. The final moments where she recounts begging not to speak in court, and of her resignation to being at the job that brought her to the mercy of the Krays to begin with, speak volumes about the way women find themselves caught up and spat out again by both the men in their lives, and the justice system. More importantly history tells us what happens to the men in these stories, we know next to nothing about Lucy. 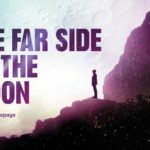 Despite the dark subject matter, it is an energetic and engaging piece of writing, filled with great humour. Capturing the youthful exuberance of Lucy, Kate Elis welcomes her audience in from the very first- as she sits at her make up table singing- we’re drawn into her world. Engaging with audiences in close proximity is never easy, but Elis worked the space and the audience effortlessly, making it feel like we were individually being told the story by a friend in their living room. It takes a lot to hold an audience single headedly but Elis’ likeable enthusiastic demeanour brings in an audience, until we then see her vulnerability as Lucy’s story unfolds. It’s an uncomfortable watch at times. As the story darkens and Lucy is held captive by the Krays, the fear about her fate, and a brutal honesty about what that experience would have been like make for difficult viewing, particularly for the women in the audience. A clever combination of movement and dialogue play out the sexual assault Lucy was subjected to and it’s a necessary, but deeply uncomfortable and upsetting sequence to watch. Elis demonstrates her intelligence as a performer that the combination of vulnerability but also the mask of self-preservation that Lucy needed to retain are conveyed perfectly. Meanwhile it’s a tribute to Luke Hereford’s sensitive, and intelligent directing that this element of the story is handled without restraint, but with sensitivity. It is of course Elis that is drives the whole piece, a true tour de force performance going from youthful exuberance to a woman broken down but still defiant by the close. 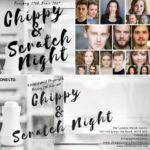 The production, as part of Cardiff Fringe, is given an excellent opportunity to make use of the performance space giving the piece an almost site-specific feel. The bunker of Little Man Coffee is both cosy enough to feel, with the ramshackle selection of seating, like we are in Lucy’s bedroom. And later, claustrophobic enough to feel like the dingy East End flat she’s kept in. Most alarmingly ‘the vault’ has an old vault door-thick metal like a safe, and a barred door like a cell in front. So, when Kate Elis pushes the door closed at the start of the performance we feel as if we’ve been brought into that world, trapped by the Krays with her. When later she fights against the door, banging the steel grill backwards and forwards the sound in the small room was deafening and the sense of being trapped very real. This element of using unconventional performance spaces really shows in this piece the effectiveness of location for performance. Another layer director Luke Hereford can add to an already brilliantly executed piece. 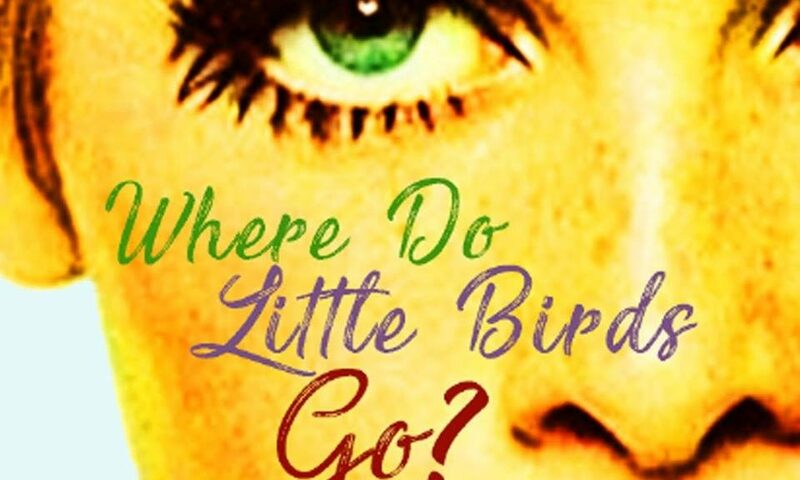 ‘Where Do Little Birds Go’ is an important and fascinating piece of writing. Giving voice to the women on the side-lines of history is a vital part of storytelling. 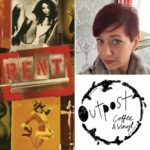 Even more so giving voice to women to perform their own stories, is equally vital particularly in theatre. Camilla Whitehall’s play is handled with grace and given the status it deserves by Hereford and the team. In Elis they have found a performer with a real voice and presence for Whitehall’s writing. Cardiff Fringe/No Boundaries was the Welsh Premiere for this piece and it deserves, particularly with this team, a longer, further reaching life.